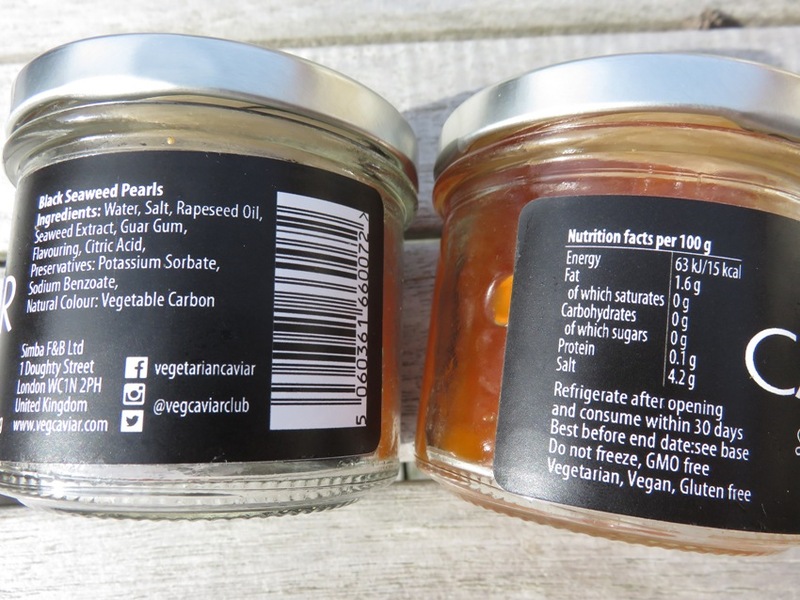 Recently bought this orange and black ‘vegan caviar’ in Ghent. It’s made of – among other things – seaweed extract and guar gum (see list of ingredients on photo). 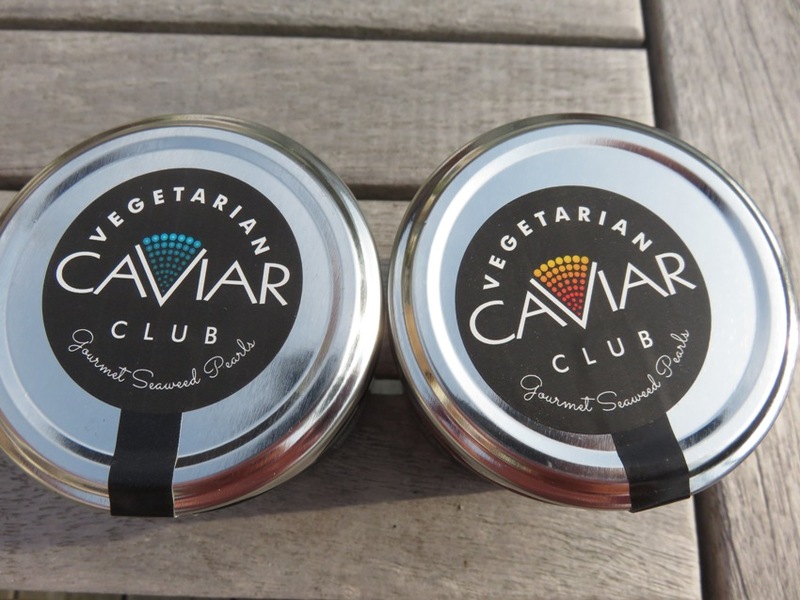 The website of the brand Vegetarian Caviar Club also lists a green version (with wasabi), but that one wasn’t available at the store (Moor & Moor). I liked this vegan caviar because of its taste, looks and texture. And of course because there are no animal rights violations involved. Traditional stealing of fish eggs from beluga or other fish for caviar involves killing the fish. 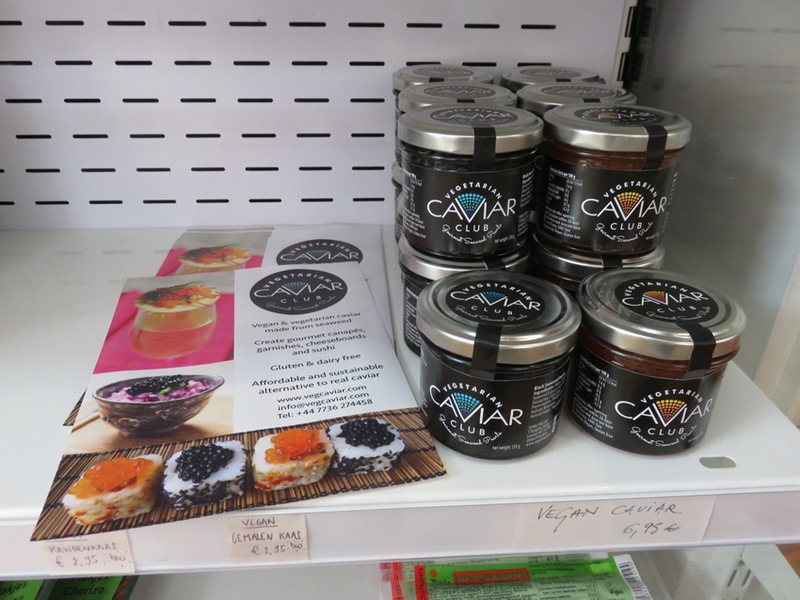 This has led to the near extinction of beluga, which has prompted the development of fish farms for the production of caviar (which of course also entails environmental and animal rights issues). I really cannot tell whether it tastes similar to fish eggs or not. 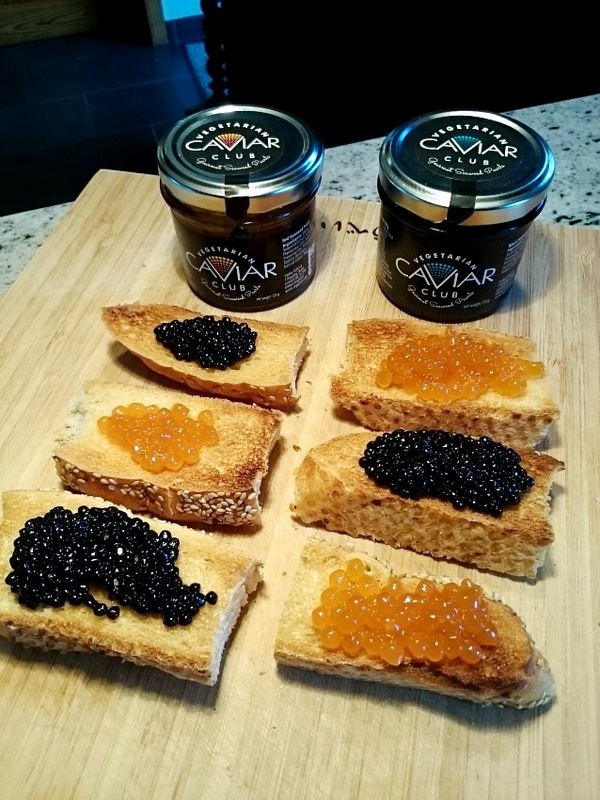 I once tasted a drop of caviar in my teenage years, but the taste did not leave a lasting impression (at least not to last 30 years afterwards 😉 But for me measuring up to the ‘real thing’ is absolutely not a prerequisite. We were both more fond of the black vegan seaweed pearls than the orange caviar, which has a peculiar taste that needs some getting used to. But it’s definitely something I want to buy again, and also serve to friends when they come over for dinner or drinks. It makes a nice present too! Oh, had ik dat geweten! verkoop je die nu niet meer? Zou die wel heel graag eens proeven. Previous Post‘Boterkoeken’ and ‘suissen’ from Bakery Frimout in Ghent!